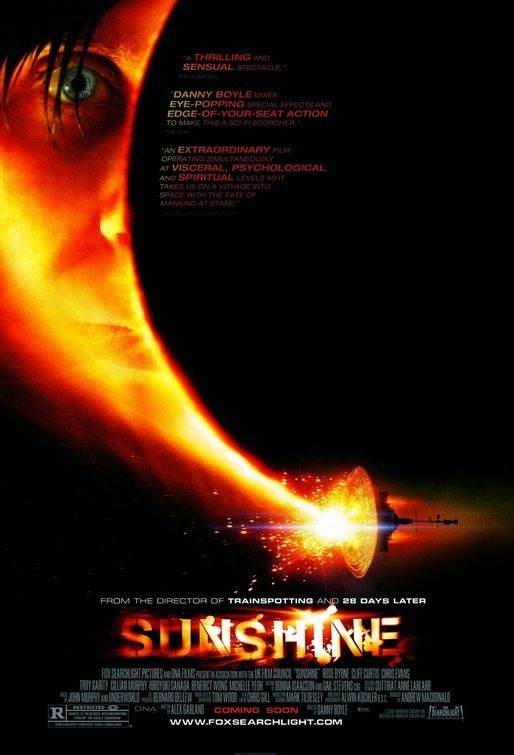 Sunshine is a science fiction film that takes on a plot similar in theme, only far into the future (I hope), to Apolo 13. The premise of the movie is that the world is in an extended winter resulting from the gradual death of the sun. We (humans) sent a team of scientists to the sun to restart it, but it failed. Sunshine follows the second team sent up with the same mission as the first. Maybe it isn’t that similar to Apollo 13, but I figure that the two are some of the best space movies that I’ve ever seen, so they fall into the same categories for better or worse. All of the basics are covered here. You have your scientists clandestine to save the world, but their predecessors already screwed up. You have group conflicts due to personality problems, decisions that are made, and the necessary sacrifice of people to save oxygen. On top of that, there’s a whole spiritual/insanity/abstraction aspect thrown in for size. This really is one of the best movies that I have seen this year. It’s captivating from the get go and there are twists in the plot the entire way through. Unlike most movies, it doesn’t really have a decidedly positive or negative ending; your interpretation of the ending completely depends on how you felt towards certain characters and other events in the movie. For those who care, this movie has the label of being an indie film (Fox Searchlight). 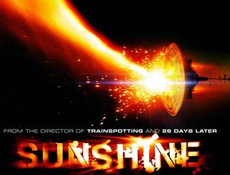 That being said, the CG in Sunshine is far too complex for the movie to have had a small budget. It has its fair share of famous actors (Cillian Murphy, anyone? ), but the budget for this movie couldn’t have been that small. Either way, it was amazing. It had the abstractions that fit in an indie film, but the major studio production value. Quite amazing. OFWGKTA (Odd Future Wolf Gang Kill Them All) #coachella2011 | Nik Gomez.com on Die Antwoord’s $O$, confused yet? Proudly powered by WordPress | Theme: niks-flat-blocks by Nik Gomez.